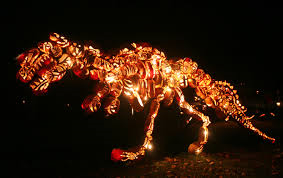 Get It Done Mommy: Pumpkin Blaze! Tomorrow we have friends coming over for dinner, so the plan is to take 1/2 day from work today and head home to go shopping. Then need to take my big boy to a 4 pm birthday party. 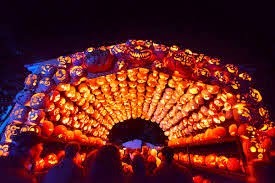 Followed by 7:30 tickets to see the Great Jack O'Lantern Blaze. The kids Thanksgiving outfits arrived so tomorrow hopefully I can get their annual photo for their card. Next up...the search for Christmas outfits. Santa will be here in a few short weeks and as soon as that dude hits the mall we'll be there before he is covered with other kids boogers and germs!